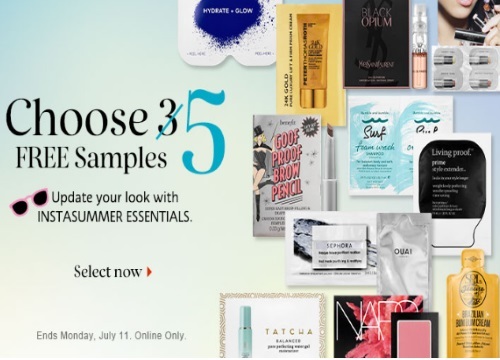 Sephora is offering 5 Free Samples with your order right now! Update your look and choose 5 InstaSummer Essentials. Usually you get 3 Free Samples with every online order, so this way you get a few more! Offer ends Monday July 11, 2016, online only.